What if your house pet could talk? It has probably seen and heard quite a few things that you would not want spread around at a dinner party of your friends and acquaintances. Well that is exactly what happens in this short story. 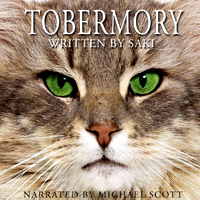 Listen in to see how quick the conversation can take a bad turn and how a houseful of guests handle the stress of a cat named Tobermory that can speak it's mind. What the heck was this person thinking writing a book like this? Horrible!